Mike is a commercial litigator with almost 25 years’ experience handling significant disputes, including class actions. He has also acted as counsel on many large international and domestic arbitrations and, in 2017, obtained the Q. Arb. designation. Mike has particular expertise in auditor's liability and financial services litigation, professional negligence, real estate litigation, shareholder disputes, securities litigation, including proxy contests and contested M&A deals, and regulatory and appellate energy cases. 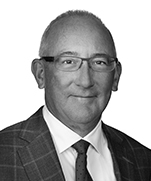 Mike is currently a member of the Canada Region National Board, to which he was elected after serving as co-lead of the Dentons Canada Litigation and Dispute Resolution (LDR) group, and manager of the Toronto LDR group. Mike has also acted as practice leader for the global Litigation and Dispute Resolution group. Typhoon Capital B.V.: Advising on an Application to set aside an arbitral award in our client’s favour. The unsuccessful Applicant sought to set aside the arbitral award on the grounds of an alleged conflict of interest. The Court dismissed the Application and additional costs were awarded to the Respondent. See: Jacob Securities Inc. v. Typhoon Capital B.V. et. al., 2016 ONSC 604, additional reasons 2016 ONSC 1478. Toronto Community Housing Corp.: Advising in successfully responding to a judicial review application. See: Simpson v. Toronto Community Housing Corporation, 2016 ONSC 76. Deloitte: Advising in relation to a multiplicity of proceedings relating to Philip Services Corp., including a CA$1 billion class action in respect of which a settlement was judicially approved in 2017. See Canadian Imperial Bank of Commerce v. Deloitte, 2017 ONSC 5000 (CanLII). Market Assessment and Compliance Division (MACD) of the Independent Electricity System Operator (IESO): Acting as counsel to MACD in its compliance investigation into the trading activity of the Manitoba Hydro-Electric Board (MHEB) on the Manitoba and Minnesota interties resulting in a negotiated settlement in which MHEB paid IESO CDN $9.6 million. Migao Corporation: Advising in relation to the acquisition of all of its outstanding common shares by way of plan of arrangement for a purchase value of approximately CA$26 million. Shaw Communications: Advising on its acquisition of Wind Mobile for an enterprise value of approximately CA$1.6 billion. Domtar: Advising on the rezoning of its former Gatineau industrial site along the Ottawa River and its associated sale to Windmill Development Group and Dream Unlimited Corp. as part of the CA$1 billion mixed residential/commercial Windmill Zibi development project. Coastal Gold Corp.: Advising on the unsolicited offer from First Mining Finance Corp. to acquire all of the outstanding common shares of Coastal Gold by way of a plan of arrangement valued at CA$13.5 million. Canadian Chartered Bank: Advising the administrative agent and the lenders in connection with the CA$215 million project financing for the development, construction, ownership and operation of the 58.32 MW Bow Lake wind power project. The Bow Lake wind power project is owned by a limited partnership with the Batchewana First Nation and BluEarth Renewables as limited partners and currently represents the largest economic partnership between a First Nation and a wind energy developer in Canada. PwC: Acting as counsel in secondary market liability proposed class action. Deloitte: Acting as counsel in secondary market liability proposed class action. Major energy company: Acting as counsel in commercial dispute. Chinese investors: Acting as counsel in private placement dispute. Chinese investors: Acting as counsel in dispute over immigration business. Confidential client: Acting as counsel in connection with Ontario Securities Commission enforcement matter. Major forest product company: Acting as counsel in a CA$5 million arbitration. Producer of global performance materials: Acting as counsel in an ICC Arbitration. Ontario Energy Board: Acting as counsel in connection with an appeal to the Divisional Court in relation to a wind farm project. Confidential client: Acting as counsel in connection with an Ontario Securities Commission insider case. Deloitte: Acting as counsel in upholding an earlier dismissal of a proposed US$100 million securities class action against, among others, Deloitte, in connection with a public offering of shares in the failed waste management company, Philip Services Corp. (Coulson v. Citigroup Global Markets Canada Inc. 2012 ONCA 108). US Gold Corporation: Advising on its acquisition of Minera Andes Inc. by plan of arrangement with a transaction value at the time of closing of approximately CA$1.4 billion for the combined company, which was renamed McEwen Mining Inc. This transaction was highlighted as a “Big Deal” in LEXPERT's April 2012 issue. Confidential client: Acting as counsel to a corporation in a domestic arbitration involving a CA$30 million joint venture energy dispute. Lexam Explorations Inc.: Advising in connection with its combination with VG Gold Corp. to form Lexam VG Gold Inc. through a plan of arrangement. UK company: Acting as counsel in an international arbitration relating to a distributorship agreement. Confidential client: Acting as counsel to corporation in an international commercial arbitration involving an IP dispute. Lenders: Advising in connection with a 393 MW gas-fired peaking plant in the Township of King, Ontario in connection with a CA$365 million credit facility. Confidential client: Acting as counsel to a corporation in an international arbitration relating to the correct calculation of a mining royalty. Augen Capital Corp.: Representing successful party in precedent-setting proxy contest case. Mason v. Augen Capital Corp. (2010), 75 B.L.R. (4th) 116 (Ont. S.C.J. – Comm. List). Morgan Stanley Canada Limited: Acting as counsel to in connection with a high profile plan of arrangement transaction involving Magna International Inc.
Polar Star Mining Corp.: Acting as counsel in precedent setting proxy fight case (Polar Star Mining Corporation v. Willock (2009) 96 O.R. (3d) 668 (S.C.)). IAMGOLD Corporation: Advising in connection with its CA$275 million acquisition of Orezone Resources Inc.
Gold Eagle Mines Ltd.: Advising on the CA$1.5 billion friendly acquisition by Goldcorp Inc.
Major forest products company: Acting as counsel in a domestic arbitration with respect to a share valuation dispute. Major forest products company: Acting as counsel in a domestic arbitration concerning a contractual dispute. Enbridge: Acting as counsel on the ground breaking incentive rates case. Major wood forest products company: Acting as counsel in products liability case. Enbridge: Acting as intervener in the landmark Supreme Court of Canada case ATCO Gas & Pipelines Ltd. v. Alberta (Energy and Utilities Board), 2006 SCC 4. PowerStream: Acting as counsel on a number of rates applications and related motions. Enbridge: Acting as counsel on the appeal in relation to the OEB’s decision on the Gas Distribution Access Rule (GDAR) (Enbridge for Distribution Inc. v. Ontario Energy Board) (2005), 74 O.R. (3d) 147 (C.A.). 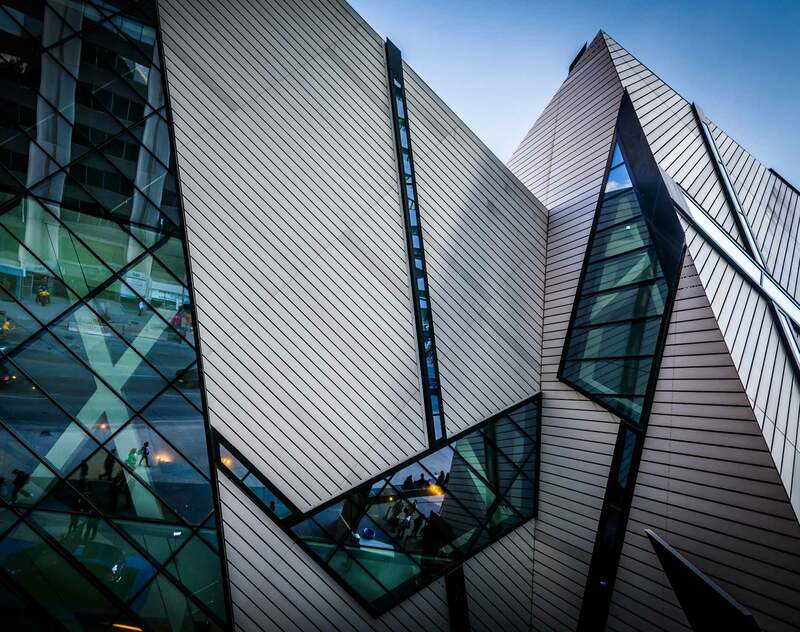 Confidential client: Acting as counsel to the successful bidder in a take-over fight before the Ontario Superior Court of Justice (Commercial List), the OSC and the Court of Appeal for Ontario which resulted in a change to the bid financing rules under the Ontario Securities Act. Enbridge: Acting as counsel on the appeal in relation to the OEB’s “prudence” decision (Enbridge Gas Distribution Inc. v. Ontario Energy Board) (2005), 75 O.R. (3d) 72 (Div. ct.); rev’d (2005), 41 Admin. L.R. (4th) 69; 2006 CanLII 10734 (C.A.). Qantas: Advising on the Anton Piller. Deloitte: Acting as counsel in the successful defence of a motion to certify a proposed shareholder class action for common law negligent misrepresentation and under s. 130 of the Ontario Securities Act (Menegon v. Philip Services Corp. 2001 Can LI 28396 (ON S.C); aff'd 2003 Can LII 36468 (ON, C.A. ); leave to appeal ref'd 2003 29644 SCC.). Confidential client: Acting as counsel on several “Poison Pill” or Shareholder Rights Plan cases. Member of the Board of Directors of ADR Institute of Canada Inc.